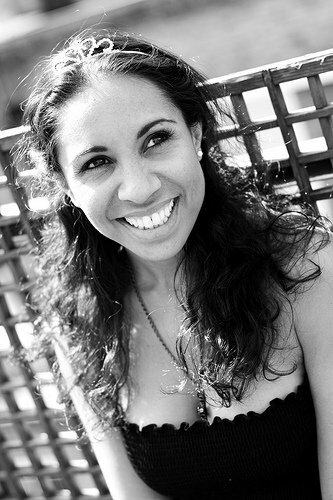 From 9th May, 2011, Debbie Kurup will reprise her role of Velma Kelly in the West End production of Chicago at the Cambridge Theatre. In the late 1920s in Chicago, Illinois, Velma Kelly murdered both her husband and her sister when she found them in bed together. She welcomes the audience to tonight’s show (“All That Jazz”). Meanwhile, we hear of chorus girl Roxie Hart’s murder of her lover, nightclub regular Fred Casely, and so begins Chicago, one of the most phenomenal musicals of our time. Debbie was born in Sunderland on 3rd July 1979, and went to Edmonton County School, in the London Borough of Enfield. Her favourite subjects were music and business studies. Beauty (WiseEyes Motion Pictures – shot in L.A) ; Lethality (shot in L.A) ; 2009 Royal Variety Performance; Paul O’Grady Show; Poison Arrow (Pro Active Pictures); Children in Need (BBC); Dream Team (Hewland International); He’s Having A Baby (Hat Trick) and various commercials. I guess I was about 17 when I decided I wanted to be an actres. Michael Jackson was my first inspiration, without a shadow of a doubt. I must have been about 5 and I was allowed to watch the “Thriller” video. I just remember being mesmerised by his moves and the passion in his performance. Then I saw “Billy Jean” and that was it. That’s when I knew I wanted to perform. Probably not a typical musical theatre answer but then again I’ve never really followed suit. I look up to actresses like Cate Blanchett, Dame Judi Dench, Allison Janey, Meryl Streep, Thandie Newton and Kate Winslet. Right now I am loving Benedict Cumberbatch’s work. I think I’d love to take a year out to see the world. I’d set up my own charity to help under privileged children. I’d invest some (for a rainy day…I’m the daughter of an accountant after all!) and blow whatever is left travelling and exploring the world. Do you have a favourite part of London that you like going to? It used to be red. Now I love pink. What would be your favourite meal if taken out to dinner? West Side Story is my favourite musical. It’s hard to choose a favourite film, there are so many! “American Beauty” “Million Dollar Baby” “La Vie En Rose” “The Pursuit of Happyness” Memoirs of a Geisha” the list is endless. What was your very first acting job? I had just turned 18 when I got my first job. It was a musical called Boogie Nights and I was in the original cast. I played opposite Shane Richie on many occasions. I learnt a lot. Any parts of the world that you like to go to in particular or have been to? I love to ski (I try to go every year) and I visit family in Malaysia whenever I can. Thanks Debbie for taking time out to answer a few questions that I am sure your fans will be pleased to hear about. Good luck with your role as Velma Kelly in Chicago, where I am sure you will be a great success!